You brush and floss daily and you keep up with your regular dental cleanings, but your teeth still become naturally discolored due to aging and lifestyle habits. If you want to refresh your smile, visit cosmetic and family dentist Dr. Durgesh Thaker. 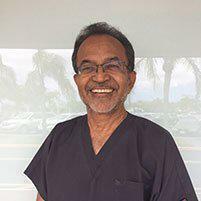 He provides several methods of professional whitening at his two convenient office locations in Tamarac, Florida. For a brighter smile, call or use the online booking agent to schedule an appointment today. During a teeth whitening procedure, Dr. Thaker uses a medical-grade product containing a special bleach that breaks stains into smaller pieces and brightens your smile. He accelerates the bleaching process with the use of a laser or specialized ultra light that activates the gel that has been applied to your teeth. Whitening only works on certain types of stains. Teeth that have yellowed due to food stains, aging, or tobacco usually respond well. If you have brown or grey teeth due to injury or medication, conventional whitening often doesn’t work and you might consider veneers or crowns instead. Teeth whitening can’t change the color of replacement teeth, such as crowns and bridges. Discuss your particular situation with Dr. Thaker to find out if laser or ultra light whitening will get you the results you desire. What are the advantages of in-office whitening? While many over-the-counter whitening products are available at your local grocery store, in-office whitening gets you fast, effective results. You’ll experience a dramatic change in just one visit. Some people find the whitening solution irritating. With Dr. Thaker, you have the advantage of being monitored, so your gums and other soft tissue is protected during the process. Whitening isn’t permanent. You should avoid any habits that cause discoloration, or you may have to repeat the process in the future to maintain your bright smile. Your smile reveals a lot about you; make it the brightest, most welcoming one possible. Call today or book an appointment online to learn more about the whitening options available to you.